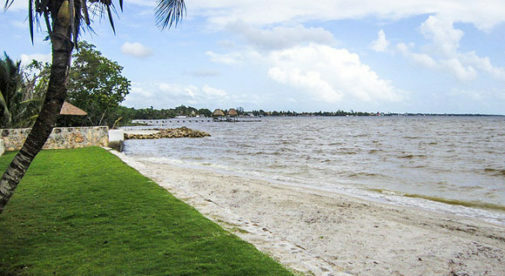 Corozal sits on the expansive Bay of Corozal. 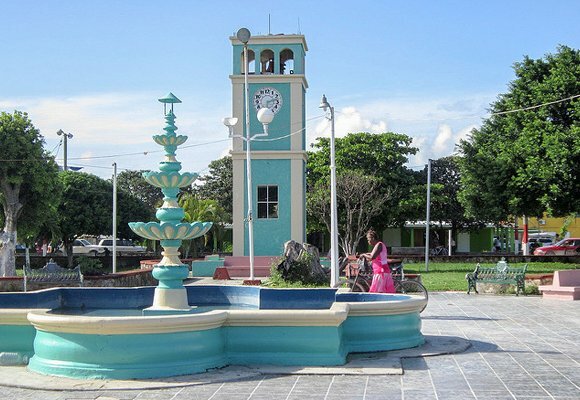 This traditional Belizean family town is a throwback to the 1950s, with residents that are friendly and a pace that’s laidback. A growing number of expats are choosing to relocate to this region, appreciating the simple, serene, and relaxed Caribbean lifestyle. A major attraction is the reasonable cost of living. Food, entertainment, and everyday expenses are affordable; and there are plenty of real estate bargains to be found. Also, while the weather is subtropical—with an average temperature in the upper 80s F—balmy breezes blow off the bay, keeping it comfortable. English is the primary language here, making it easy to transition. And it’s easy to meet new friends in this community, with many social activities and volunteer opportunities to choose from. The proximity to Mexico is another plus. 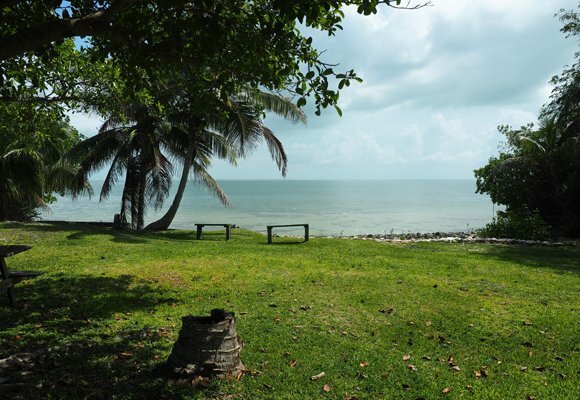 Since Corozal sits right next to the border, expats regularly hop across to shop in Chetumal, visit a medical center, or catch the latest movie. 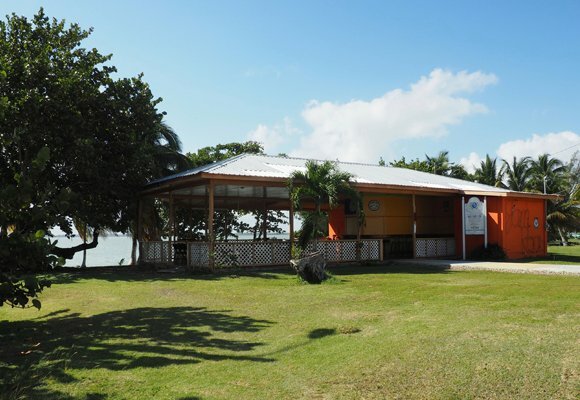 Corozal Bay offers diverse water sport options such as swimming, fishing, kayaking, sailing, and motor boating. Walking and biking are also popular outdoor activities. Scuba divers and snorkelers can take day trips to the Caribbean Sea’s barrier reef. 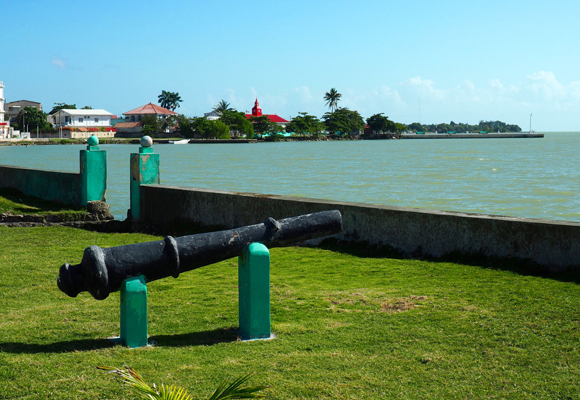 Being on the mainland, Corozal is also close to a multitude of inland activities. Hiking, horseback riding, canoeing, cave exploration, and zip lining are just a few of the options, while archaeology buffs can easily access several Mayan sites. The Santa Rita site is right at the edge of the town, while the Cerro Maya (Maya Hill) ruins are right across the bay. With over 500 species of birds in Belize, residents marvel at the diversity of colorful feathers flying around their yards, while howler monkeys and other curious creatures can also be seen in the nearby forest and jungle. The soil in this region is rich and productive, making it easy to grow fruit trees, coconut palms, and gorgeous orchids in your yard. 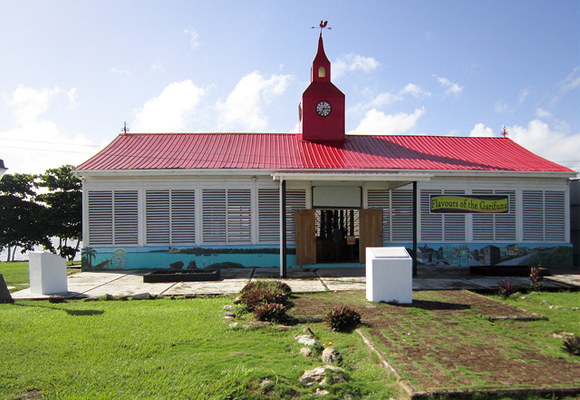 Corozal also provides great value, especially when compared to Belize’s popular cayes and beach towns. Many expats live comfortably on their Social Security income, and can afford to buy a home with a sea view and a backyard. 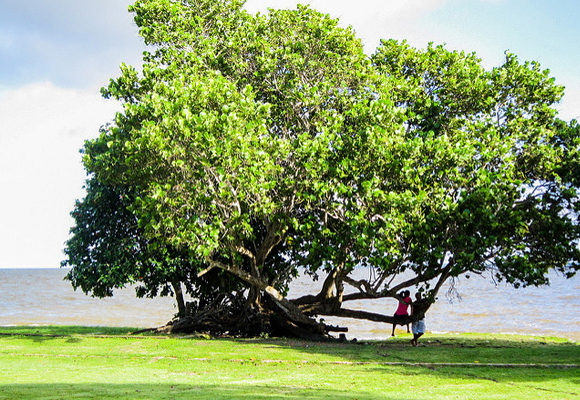 Walking along the coastline you’ll find lush, leafy trees, such as this sea grape tree. These sturdy trees provide a welcome rest spot where you can enjoy the view and the breeze.